There are many vets who believe the nutritional needs of the senior dog can be met by feeding them senior dog food. There are also many vets who believe they can’t! I am not a vet or a professional dog food expert, I am however someone who has shared their life with dogs and cats for the past 31 years, and senior dogs specifically for the past 10. I personally don’t believe there is a “one size fits all” answer to canine nutrition, nor do I believe every food labelled “senior” is guaranteed to be the best diet for your dog. I also believe it’s important to know your dog’s health status and whether or not there are ingredients you need to avoid. wall informing us of their staff’s experience in pet nutrition, were awarded by pet food companies and it was the same brands the practice would stock. For many many years I switched to senior food as soon as my dog or cat hit that milestone, blindly trusting that it was the right thing to do. I had no idea it was something I should question, especially when my vets were believers. I remember having a bit of a freak out when I first moved to England with my cats and was shocked to find only a couple of brands made a senior formulation, and they were the cheap brands. I wonder now why it didn’t occur to me to look online but it wasn’t such a “thing” back then, at least not for me. I was very concerned, okay extremely worried, the odd time when I fed them “adult.” I don’t know what I thought would happen to them, but I was sure it was something bad. I guess it started a couple of years ago when this website came to be. One of the topics I was planning on writing about was nutrition, and the more I read the more confused I became, the less I wanted to write about it because I was so confused!! How could it be that my beliefs about dry food, prescription diets and senior formulations were coming into question after reading so much that was contrary? Was it really true dry food was not necessary for teeth cleaning? Could it be prescription diets contained horrible ingredients? You mean senior food is not “the” answer!! I believe everyone must make the best decisions they can for their pets, and they need information to do that. There is a lot of conflicting advice out there about so many things, pet nutrition included. My best recommendation is to research and see what makes sense for you. So what’s changing that makes us turn to senior formulations? was, and the chances of weight gain and obesity become all too real. Sense of smell and taste can fade, along with the ability to chew as effectively. Smaller kibble size can help, as can smaller chunks of food and small more frequent meals throughout the day. What are the characteristics of a senior diet? 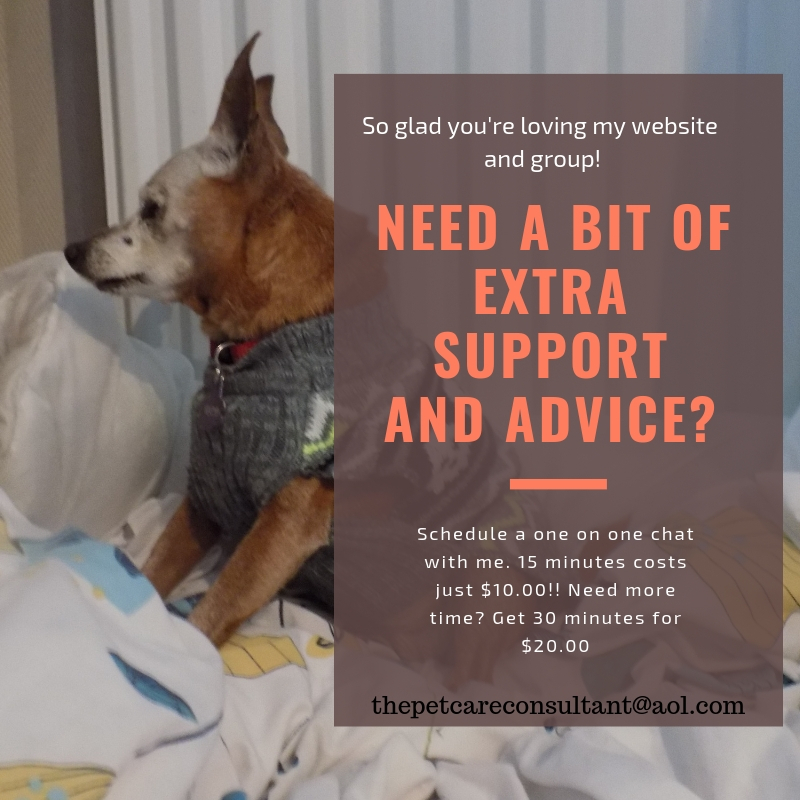 How do I know if this is what my senior dog needs? That’s the thing isn’t it – you don’t! 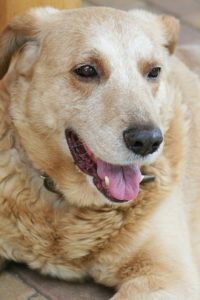 Not every senior dog has a weight problem, and a calorie restricted diet wouldn’t be the best thing for dogs who have trouble eating, aren’t interested in eating or are high energy. Then there’s the issue of quality – is the ingredient list loaded with corn, by-products and meal? You’ll find that on food for dogs of all ages, not just senior. Is that really the best we can offer them? More protein? Less protein? Depends who you’re listening to! It seems to be less about the quantity of the protein, and more about the quality. There are highly digestible proteins that your dog’s body can easily absorb, and those that it can’t. Animal parts like beaks, feet, and tails are 100% protein, but not at all digestible. So why is it appearing in pet food? Soy is high in protein and a very popular dog food ingredient, but is believed by many to be an inappropriate source of protein. It is seen as merely an inexpensive way for pet food manufacturers to increase the protein content of their food. From what I understand, the recommendation for lower protein diets in seniors came as a result of how the pet food industry made its’ food 50-60 years ago (sorry I don’t recall the source of that info!). Slaughterhouse waste was combined with discarded vegetables and grains not suitable for human consumption. Because the quality of protein (and of course the food in general) was so poor, it was difficult for dogs (and cats) to digest it, causing strain and stress on the liver and kidneys. As a result, senior pet foods were introduced and as a pet aged vets recommended them for their lower protein content. On the flip side, many vets believe protein is particularly important in aging dogs. Be advised the protein they’re referring to is high quality, easily digestible. Does that mean a raw diet? Yes, to many it does! Raw food in its’ natural state is considered by many to be the most digestible form of protein, full of moisture with nothing added. Because manufactured food has been dehydrated, pets must drink a lot of water to rehydrate, stressing an older dog’s organs. I know many people who swear by a raw diet and have seen noticeable, positive changes as a result. What about the need for added fibre to prevent constipation and aid in digestive health? Although higher fibre causes dogs to poop more, too much fibre can block the absorption of healthy nutrients. Well, as is the theme throughout this article, plenty of vets believe senior formulas contain the right amount of fibre, while others believe there are healthier ways to get that much needed ingredient. Psyllium husk powder, dark green leafy vegetables, and canned 100% pumpkin are just a few examples. You read about all the wonderful supplements being added to our cereals, juices, even skin care products. Then you read how they are actually present in such miniscule amounts as to have no positive effect at all. Many believe the same can be said about supplements added to dog food. Omega 3 for example is sensitive to heat and light, so while it may be technically present in the food (so it can be listed as an ingredient on the label), the manufacturing process has made it useless. It’s best to supplement the diet with a good source of it. Joint supplements are another additive, but the quality and amounts are unknown. Once again, using a glucosamine or other appropriate supplement like New Zealand Green Lipped Mussels for instance, or Turmeric golden paste would be heaps more effective. Step one would be to take your dog to the vet for a health check, so you’ll have your starting point. Are there medical concerns? Things his body needs more of? Less of? You may have to schedule a separate visit to discuss your dog’s nutritional needs. If you like the sound of a raw diet, or are interested in the benefits of adding some natural supplements to a branded food, talk it over. Once you have an understanding of your dog’s specific nutritional needs, you will find it much easier to assess the brands available, and choose the one best suited. Perhaps a commercial dog food isn’t the best option, but a home cooked diet is!! and in line with my views, and in particular when it came to diet. Unlike my vet’s strong belief in the need for Red to eat a prescription kidney diet, my holistic vet wanted her to stop it immediately because of the poor quality of the ingredients. He believed natural was best for her, so after seeing the results of blood tests he created a diet just for her consisting of specific proportions of boiled chicken breast, cooked quinoa, cooked rice, boiled broccoli, raw carrot, raw apple and olive oil. Taking your dog to get another opinion on the best diet for him or her could be an interesting and eye opening experience. There are many factors besides age that should be used to assess the suitability of a particular dog food. That’s why I don’t believe when the date on the calendar changes so must the food. Do your research and start educating yourself, it really is fascinating but pay attention to the source of your information and make sure it’s reputable. What is your opinion? 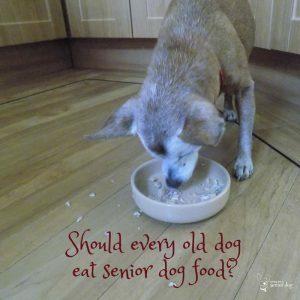 Is your dog on senior food? What made you choose that particular brand/type? Please share your story in the comments section below or on my Facebook page. Hey this is very helpful. Our family dog is senior now and I feel like it’s a broken record when we are trying to figure out exactly what we should do as far as nutrition. This was extremely informative. We are taking him to the vet and we will make sure to cover this! Thanks for the info! Hi Veronica, Thanks for your comment and nice to hear from you. It can be challenging trying to figure out your senior dog’s nutritional needs. It’s always good to start with a trip to the vet, to find out his or her current health situation. Once you know the answer, it’s easier to figure out what to do. 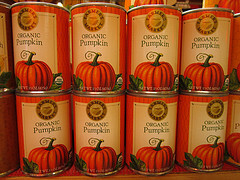 Hey there Hindy, I have heard a lot about the fish oil bit but never about the canned pumpkin, that is news to my ears. My dogs are not yet old but it is great to know this stuff ahead. I guess it couldn’t hurt to even start now. Hi Elliedan, thanks for the comment, so nice to hear from you. Fish oil and canned pumpkin can definitely be started when they’re young, but I would always speak to my vet before adding anything to my dog’s diet. Sometimes you can have too much of a good thing, and you want to make sure they’re not already getting enough from their food. Your article is very interesting. Aging pets need care just like we do as we age. It is unfortunate that inferior, processed ingredients make up so much of our diets, as well as, that of our pets. Thanks for keeping us aware of how our choices affect our pets! Hi Laura, thanks for your comment. You’re absolutely right. Whether it’s our diet, or our pet’s, every where we turn there’s processed foods, doing heaven only knows what kind of damage. I think so many people just grab whatever food they see off the supermarket shelf, assuming if it’s dog food it’s nutritious, without really considering what ingredients go into the making of that food, and whether or not it’s keeping our pets healthy. Thanks for that article, my dog is quite old and his bones appear to be soft, he can’t chew bones anymore because his teeth have worn down. Is it okay to give a dog calcium supplements? Hi Rod, I’m actually not sure what you mean when you say his teeth have worn down. I haven’t heard of that before. Is this something your vet has seen? I love this article and it is quite enlightening! My senior dog is slightly overweight due to lack of exercise because of mobility issues. Yet, she is not on a senior dog food due to needing to be on a special prescription food due to other health issues. I totally agree we have to take things on a case by case basis and while we do need to hear our vets out we need to ask questions and discuss our own thoughts. 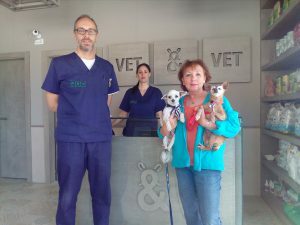 Our vets may know our dogs health concerns but they do NOT know our dogs lifestyles as much as we do. You’re so right Joely, they only know what they see when we bring our animals to the office, but they don’t know about their lifestyles. When relevant I take videos to show him, because of cause the behaviour you’re concerned about never shows during a check up!! You mentioned mobility issues so I can’t help but ask – what’s going on and are things under control? Mr. N eats raw food and he really likes it so we’ll keep him on it unless something changes. I do add a joint supplement and we just ran out of the last one so I’m researching to see which one to try next. I’ve read a lot of great stories about some amazing results pet parents have seen once their dog (or cat) was switched to a raw diet. No reason to change what works!! 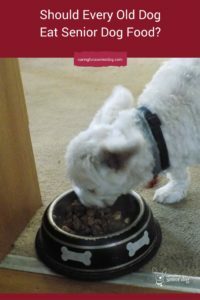 Should the diet for senior dogs be adjusted? Yes. Do the commercial senior dog formulas hit the mark? No. At least none of those I’ve seen. The main issue being the protein content (and quality) misconception. Senior dogs do not need less protein; most likely they need more. Unless there is kidney disease. Every diet should be tailored to individual dog’s needs. What I find most confusing about dog, and cat food, is the complete polar opposite views “professionals” take when it comes to quality, and what we should, and shouldn’t be feeding our pets. At the end of the day what you say is absolutely right – tailor each diet to the individual dog. Well, the reason for that, I believe, is the level of corrupted thought (whether knowingly or unknowingly). Those who don’t buy mainstream belief systems are those who stand at the other end of the spectrum. The truth probably lies somewhere in between. For myself, I follow logic. For years I followed the recommendations of my vet. I had no reason to doubt, and never even thought of researching. It sounds incredible now, but at the time I was naive. I agree, logic does play a big part in these decisions. Babu will turn 15 this year. we have really not changed his diet much except add pumpkin, and some chicken and rice from time to time, he loves it! I’m happy to hear Babu is doing so well, I’m sure he loves the added “treats” to his usual diet! I know exactly how it is. When I was researching about the best types of food for my pets, I was only more confused and had even less clue of what is the right thing to do. I am not sure I would try raw food though.There were so many meat inspections that discovered salmonela in the meat in my country lately that I am too afraid I would make my pet sick. It really is confusing it’s tough to know what to do. I like the idea of adding some fresh homemade food to a dog’s diet to increase the nutritional value if it’s not such a great brand to begin with. I am very wary of a raw diet, even though so many people swear by it. I would definitely not give it to my senior dog Red. I was recently sent a few pounds as a sample so I’ve started adding a bit of it to my other dog’s diet. He already eats a very good quality food, but I was curious and he loves it! He’s very fussy normally, but since I’ve started adding it he gobbles up every bowl. I still wouldn’t totally switch him over to a raw diet. Terrific post! I appreciate your focus on the individual needs of each dog, and that you’re including facts about commercial kibble that should be of interest to every dog owner. The quality of ingredients in kibble diets are sub-par at best and most dogs of any age will respond positively to a home cooked or, better yet, raw diet. That said, if people have dogs with very specific medical conditions, seeking the advice and guidance of a holistic vet is terrific advice! Thank you Stephanie. I find it interesting to see my “evolution” in terms of knowledge and the need to seek knowledge when it comes to pets’ diets. For many years I assumed dog and cat food were all okay, and the brands my vets carried were the best. It’s funny when I say that now but at the end of the day, you don’t know what you don’t know! !